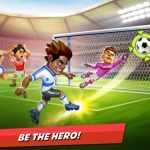 Just in time for the World Cup, award-winning football series Stickman Soccer has delivered an all-new instalment on iOS and Android devices, and this one promises to be its biggest and best so far. Stickman Soccer 2018 comes with a raft of new gameplay features, including the introduction of red and yellow cards, new moves such as overhead kicks, slow motion replays and tonnes of customisation options for adding a personal touch to your squad. There are more than 150 playable teams on offer, as well as over 300 trophies to compete for and multiplayer support. 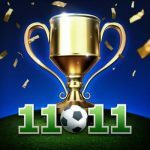 Developer Djinnworks has also thrown in a dedicated World Cup mode to drum up hype for the big tournament in Russia. 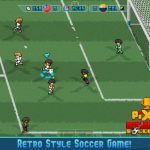 Moreover, Stickman Soccer 2018 includes full gamepad support and local multiplayer matches when two of them are connected. This season’s version of the casual arcade title sports the same 3D visuals and detailed stickman character models as the 2017 edition, but Djinnworks has rebuilt the AI from the ground up to ensure players will be up against smarter opposition. 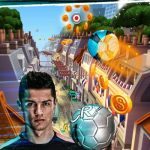 Stickman Soccer 2018 is available to download from Google Play and the App Store now.